The districts primary first out engine which responds to all incidents in the districts coverage area including EMS calls. 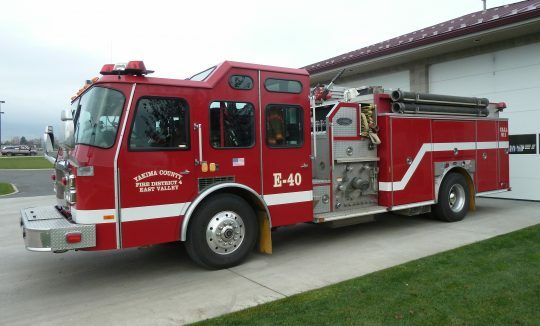 E-40 is staffed with a minimum of 3 career personnel 24/7 and is cross staffed with BR-40. 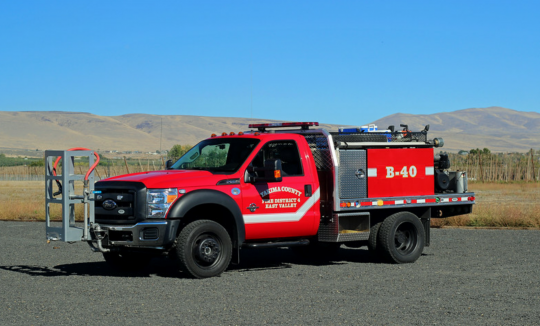 The districts primary first out wild land unit staffed with 2 personnel while operating at fires, BR-40 is cross staffed with E-40 crew. 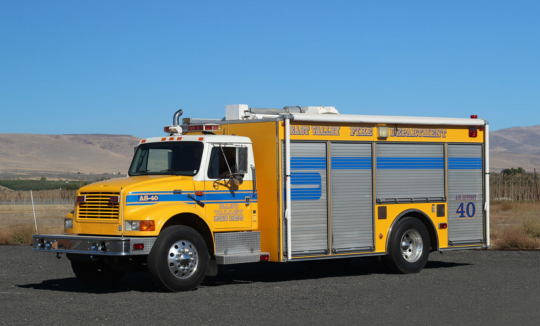 The districts primary command unit. Staffed by both Career officers and weekend Paid-on-call officers. 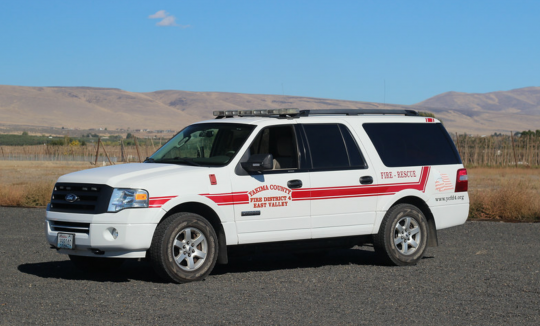 The districts secondary command unit staffed by the fire Chief when on duty. Serves as general transportation for district personnel. Additionally it serves as our plow for the winter months to assist in keeping all stations response ready. 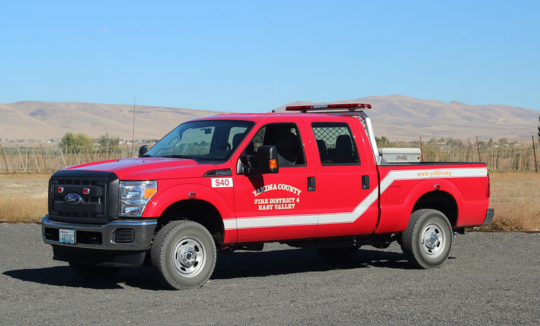 Serves as the districts mobile support unit, which is capable of refilling SCBA bottles, lighting emergency scenes and providing much needed nourishment to personnel operating at incidents. Staffed by our dedicated EMS/Support personnel.